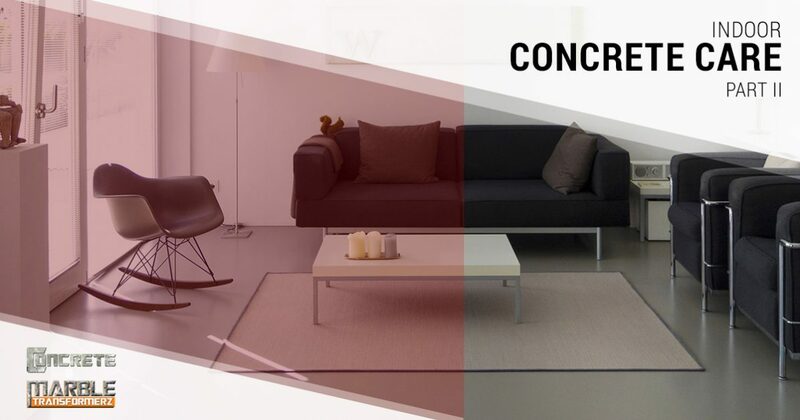 Did you know that concrete is one of the most versatile materials with which you can furnish your home? While it may come as a surprise, it’s true! Many people in Southern California are furnishing their beach homes and upscale lofts with concrete floors, and the designs can be truly remarkable. In a previous post, we provided you with a few tips for maintaining your indoor concrete, and in today’s post, we’ll continue to explore that same topic. If you have concrete floors in your home, then get in touch with Concrete & Marble Transformerz to learn more about our concrete services in Los Angeles! We’ll gladly help you stain, polish, seal, or wax your concrete surfaces — give us a call at 562-206-2729 today to get started! In general, you won’t need to use any heavy chemicals on your concrete floors. Avoid bleach and acidic chemicals — a simple dish soap or all-purpose floor cleaner will be just fine. 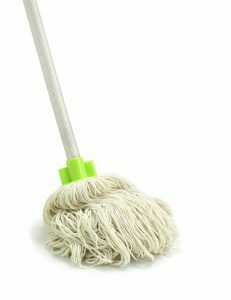 Simply use a mixture of warm water and gentle soap to mop the surface. Make sure that the mop and bucket you’re using are completely clean, as you don’t want to be putting dirt, gravel, and other debris back onto the surface of your floor. If you want to use the best concrete cleaners on the market, then you may want to purchase chemicals intended to treat specific problems. For instance, some concrete cleaning products are designed specifically for oil and grease, making them the ideal product to use when you’re cleaning the kitchen. When you’re cleaning your home, thoroughly mop a small area before moving on. Allowing chemicals to dry can lead to cloudy spots, so take your time and slowly work your way across the area. Our concrete restoration experts will gladly recommend the perfect products for your home, so just ask if you would like to learn more! Accidents happen. From dropping heavy objects and causing a crack to accidentally scratching the surface of your beautiful concrete polish, you may find yourself having to invest in concrete restoration at some point. While many DIY guides on the internet will claim to provide you with all the information you need to know about repairing scratches, cracks, and dents, you should always get a professional opinion before beginning any work. A professional may be able to completely buff out a particularly bad crack or scratch, and you certainly don’t want to take the risk of making the problem worse. Our concrete services are fast and affordable, so give our experts a call if your indoor concrete needs to be repaired or polished! We hope that this series will help you care for the concrete floors in your home. If you’re in need of concrete services in Los Angeles, then don’t hesitate to get in touch with our concrete restoration experts! We offer free estimates, and we’ll gladly help you determine the ideal restoration and maintenance package for your home. We look forward to working with you soon!